You are lucky that plants are still blooming in your area. Our winter season is rapidly closing in and frost has taken most of what had been holding on. I chose to move this far south to get away from the cold I grew up with in New York. Two decades later, after I got interested in native plants, I counted it a bonus that we regularly have at least some wildflowers through November. Last week in Austin we had several days when the high was in the mid-40s, setting a record low for the high temperature on those days. Lucky you, to have some in your neighborhood. It no doubt helps to get those wonderful ‘frost flower’ photos when the first freezes come. In the meantime, this is a wonderful portrait of the flowers themselves. Those black anther tubes are a nice detail, and the black background helps to highlight them. Frostweed grows in lots of places in my hilly northwestern part of Austin. The flowers I photographed for this post were along a back path I follow probably only once a year on average. Closer to home and more easily accessible are a line of frostweed plants in Great Hills Park. Those are the plants I regularly go to for frostweed ice when freezes come, which could be as soon as a month from now. Those black anther tubes fit right in with the chiaroscuro of the portrait. Beautiful composition, Steve! I’ve never seen one of these here, yet, but will keep an eye out for them. Alas, Lavinia, your eyes are doomed to disappointment, at least beyond seeing a portrait, because this species grows only in the southeastern quadrant of the 48 states, the opposite part from where you are. In any case, I appreciate your appreciation of the composition. I know of a Scottish blogger who has seen these frost formations over there. So, I went looking, and found there are apparently other species that go by the same common name or have the potential to produce frost ribbons. This site lists a few different species. The article that you linked to mentions Bob Harms, whose very informative web article on crystallofolia is linked there. I knew Bob Harms, who unfortunately died a few years ago. From his article I was also introduced to the website of James R. Carter, likewise linked to in your link. From what I can tell, botanists have yet to understand why only a few species undergo the ice phenomenon natively, and what the exact mechanism is. I remember seeing some of those posts. Your frost formation photos are beautiful Steve! Tom’s photos of what they call frost weed ice formations over in Scotland look very similar. I remember him saying the conditions have to be just right to see it. Thanks, Lavinia. I’ve always enjoyed the abstractions that are possible when photographing frostweed ice, even if I don’t enjoy the cold I have to endure while taking those pictures. The conditions in Austin seem to be right because at least some frostweed plants produce ice the first time we get a freeze, and others (plus sometimes the first ones again) produce ice when we have subsequent freezes. It looks like edelweiss of the prairie. I never knew what edelweiss flowers look like, nor that they’re in the sunflower family, till your comment prompted me to search. 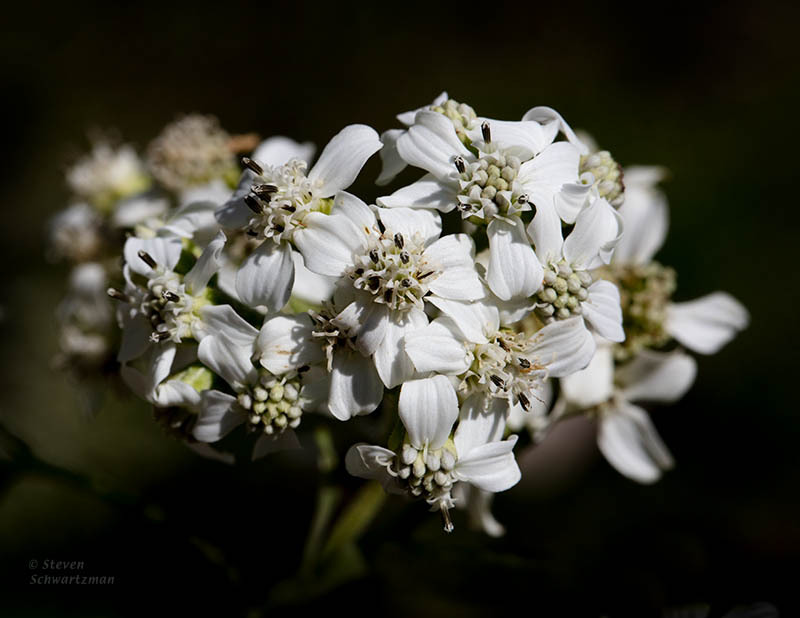 “Edelweiss of the prairie” is an excellent description, although I’ll add that frostweed grows across much of the southeastern quadrant of the country, not just on prairies. I’ll take a cue from you and agree.